Live Dealer casino games are the latest and hottest innovation in New Jersey's legal online casino scene. Most online casinos offer patrons a great remote gambling experience, but not everyone enjoys playing table games against a virtual dealer. Some would say that even the best online experience cannot match the thrill of playing live Blackjack, or Roulette. For this exact reason the good folks at Golden Nugget Casino introduced Live Dealer casino games. 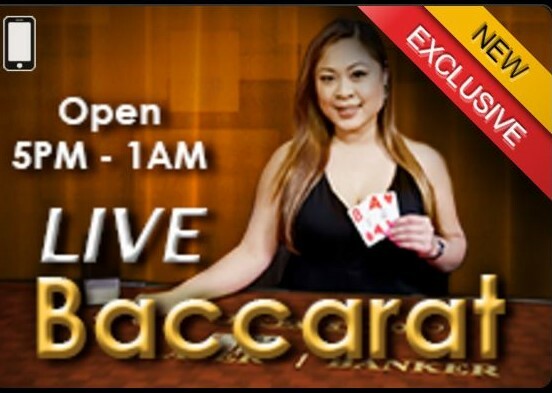 These table games are broadcasted directly from their AC casino floor, making it the first time in US gambling history that casino fans can place real money bets in real time with a remote live dealer from the comfort of their homes. If you are one who those casino fans who love casino table games, but cannot relate to the concept of trusting an online Random Number Generator (RNG), then Live Dealer is perfect for you. This is due to the fact that real dealers shuffle and deal your blackjack hands and spin the roulette wheel with every bet you place. Not to mention that they look much better than their virtual counterparts. What’s unique about New Jersey Live Dealer Casino? The concept of Live Dealer has become a standard offering in most online gambling markets. In Europe it is commonly found on all major online gambling sites. Those games are often transmitted from dedicated studios located in Europe, Asia and Central America and the games are dealt by local dealers. The state of New Jersey is known as one of the world’s safest, strictest and most responsible online gambling jurisdiction. It is unique in the sense that its land-based casinos can also offer online gambling. As a result, Casino operators like the Golden Nugget can now create the ultimate marriage between traditional and online gambling and extend a great gaming experience beyond the walls of their Atlantic City establishments. This allows their players to place a bet with their favorite casino and a familiar dealer from their computer, tablet or smartphone. All that's needed is to be of eligible age, open an account and be within the borders of the state of NJ. There is no doubt that this innovation takes the online casino experience to new heights. How is Live Dealer different from a regular online casino? The outcome of the game. In traditional online casino games the outcome is determined by a Random Number Generator (RNG). In a Live Dealer casino a real dealer shuffles cards or spins the Roulette. Same as in brick-and-mortar casinos. Variety of games and accessibility. Live Dealer casinos rely on physical tables and dealers. They must account for operating costs and are therefore likely to focus on popular game variations. This may also lead them to offer a limited number of tables per game and operate in specific hours. Online casinos benefit from lower operating costs and do not require minimum number of players to justify this cost. Online players can therefore find a larger selection of games and choose from many different variations. Privacy and atmosphere. For many casino players, nothing beats the fun and excitement of gathering around a Blackjack, Roulette or Baccarat table at the local casino and placing a bet while chatting with their friends or favorite dealer. Those players are sure to appreciate the interactive and social experience offered by Live Dealer casinos. If you tend to like a very specific version of the game, enjoy a faster pace or simply prefer to play in a more private setting, then the virtual versions of the games are likely to be a better match for you. But if you enjoy the presence of other players at the table and chatting with the dealer, then Live Dealer may just be the right experience for you. Which Live Casino games are available? Free Play Bonuses let you try any game with real money RISK FREE! 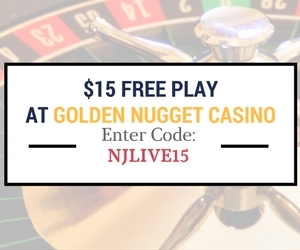 $15 Free Play at Golden Nugget Casino - Enter code NJLIVE15 at sign up. Copyright © 2019 NJ Live Dealer . All rights reserved.